The market has changed. 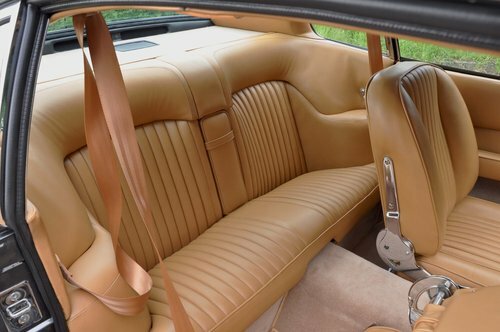 Car enthusiasts are tired of buying ‘restored’ prestigious classic cars which are simply ‘tired’ examples ‘brightened up’ to mimic a quality restoration. These luxury classics are a part of our history and deserve our care and attention. We are producing motor cars that will be enjoyed on our roads for years to come. 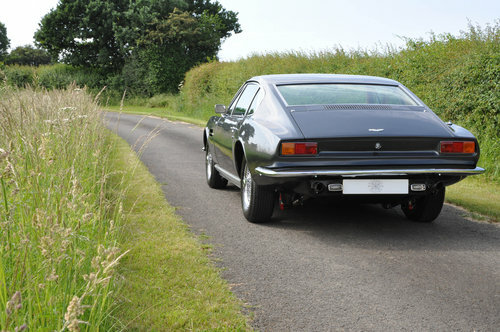 This 1970 DBS was originally supplied to Australia and has since had just three owners. This vehicle comes complete with factory fitted air conditioning and is to be supplied with service/maintenance history dating back to 1985. 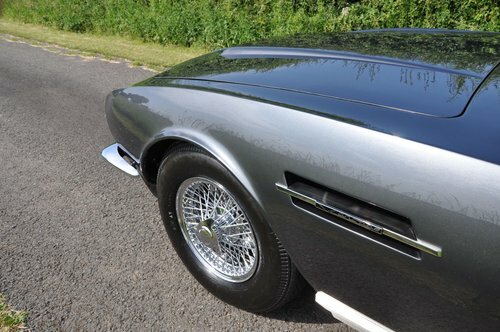 This is a rare opportunity to purchase a fully restored DBS to the highest standard. ?Beneath its shapely exterior the DBS employed a platform-type chassis with independent suspension all round: wishbone and coil-spring at the front, De Dion with Watts linkage at the rear. Larger and more luxuriously appointed than the DB6. Autocar judged it superior to the DB6 in many areas, the bigger DBS offering four full-sized seats in addition to transformed handling and roadholding courtesy of the new rear suspension and standardised power steering. 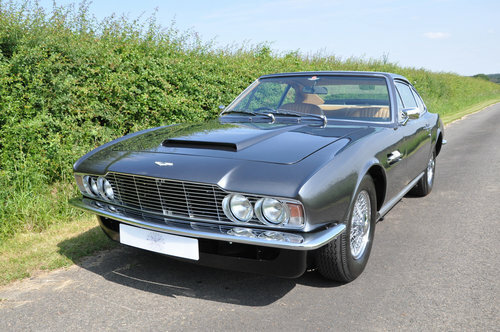 ?The DBS was manufactured in 1970 and supplied to Australia where it spent its life up until 2015 when it returned home to the UK. The new owner then sent the car to British marque restoration specialists, Richards of England, in 2016 to undergo a complete restoration. The car has now completed its rigorous road testing and is now available to purchase. ?This motor car has undergone a complete restoration. From the chassis to the smallest component, this DBS has been brought back to life with care and attention. 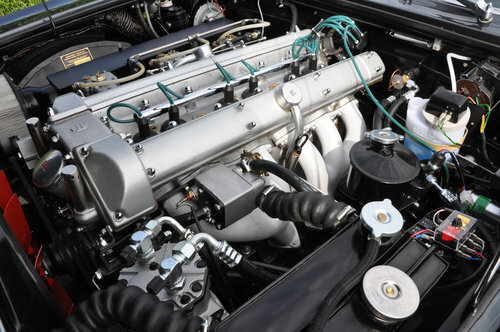 The engine has been completely stripped and rebuilt to full vantage specification, including correct camshaft, combined with a brand new 5 speed Tremec manual gear box. 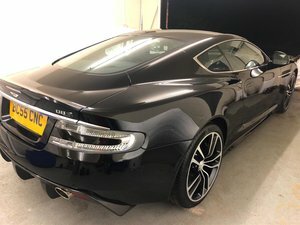 From the photos you will be able to see the impressive transformation following the application of the Aston Martin Black Pearl paint. Work on the assembly includes a complete mechanical rebuild to the underside, suspension, brakes, axle/differential & engine bay. A fawn coloured Connolly Vaumol hide has been used as per the original Astons. To complete the interior, Wilton carpets and a traditional wool head lining has been fitted. Comprehensive road testing and detailing to the highest standard has taken place prior to the marketing of this motor car. On purchase you'll be presented with a leather bound photo book, hand crafted in the Connolly hide used on this motor, detailing all aspects of the restoration process. A one year guarantee is also included with all our complete restoration. A great opportunity for a new owner to continue a restoration This car was last on the road in 2016 and prior to that, major steel work including replacement sills, jacking points etc had been carried out. 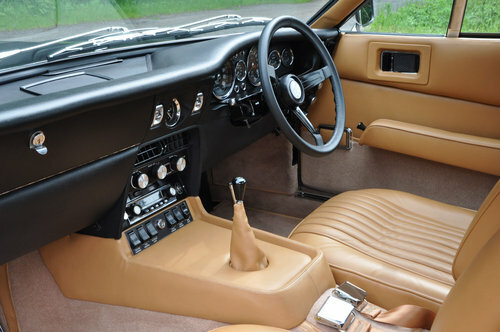 It is a late DBS6 which was fitted with the ZF V8 type manual gearbox from new. 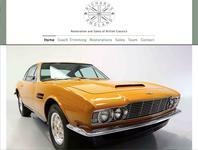 1971 Aston Martin DBSV8 Series 1 5,4 L 5 speed manuel gearbox.